Breakfast of Faikpasha Taksim Breakfast Cafe is very important to me. My guests should start to the day with an organic, healthy, homemade breakfast. We all know that most of the jams in the Market have jelly-like thickening materials, chemical protectors against mold and some other for taste. In the winther time I nearly use 30 kilos of Orange plus sugar for an organic –delicious orange jam. I know those who reccomend that ‘’ boil the orange peels and pour the boiled water in order to erase the sour taste ‘’ but I do not spill the water because the vitamins will gone. When the time of harvesting of mandarin in Bodrum comes, I go to there by car (I can not bring jam jars to Istanbul any other way from the car journey). First time , I washed the miniature Bodrum Mandalinals and cook them in the pot with sugar , each one shrunked like a small fetus and weirdly got that image. Later I made some investigation J and asked to ladies who live in Bodrum, found out how to make a proper Bodrum I went to get the jars several times a day, get 25 kg of sugar from the Çapkın Market, boiled the jam until late hours, and my husband says “yahu don’t you tired at all, pity you found something to be tired even on holiday”This is my nature,even myself can not change it. To do something,to create new things is my pleasure. Mandaline Jam,at the end I got the secret! 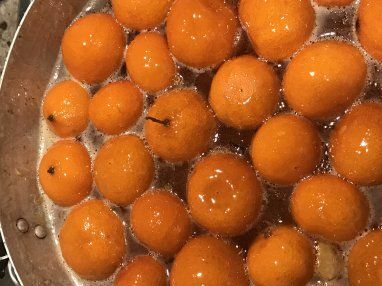 I peg each tiny mandarin from several points and leave them in the boiling water for an hour.Later for one kg mandarin I use 1 kg sugar,one tea spoon full of butter and juice of two lemons for getting wonderful mandarin jam.This is the secret! In the meantime, there were some experimental studies like adding some beet for the lovely colour , adding cinnamon and cloves, adding vanilla. too. At the end I ve got 25 jar of Orange and Mandarin Jam in the car while driving from Bodrum to İstanbul.Thats all for Faik Pasha Café!